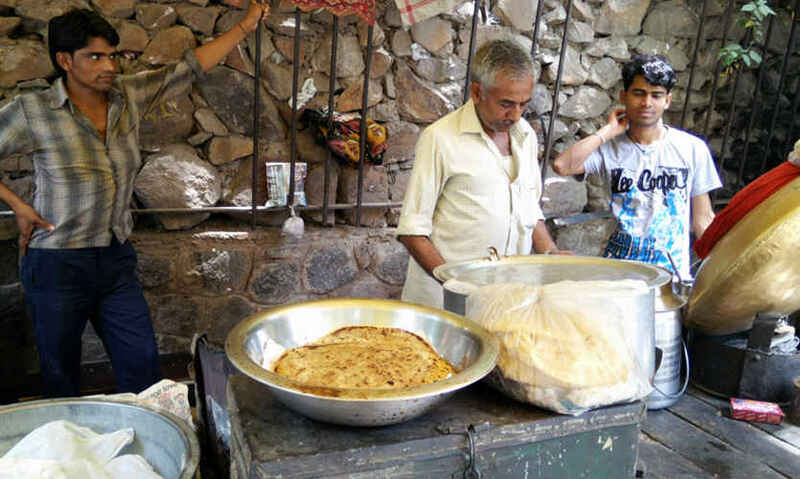 Kela lelo, sabzi lelo, chai lelo, kulfi lelo; Delhi streets are incomplete without the sounds of street hawkers screaming on top of their voices to sell goods for their daily bread and butter! Follow our trail! This is the best place for your daily food fix! Placed opposite Slice of Italy in Shahpur Jat, they dole out the best Parathas & Chole (both dry and with gravy) Kulche in the area. The best part is that you can even get the food delivered to your desk - love the little pleasures in life! 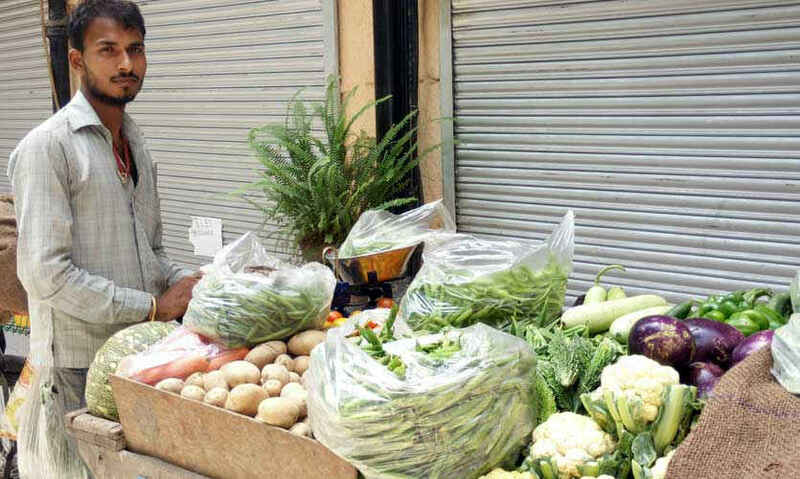 This is the neighbourhood sabziwala circling Shahpur Jat all day in the heat selling the fresh produce of the day. What we loved most about him (besides the offerings) was his welcoming nature and his knowledge on the various products - kudos to him! This modest tea shop opposite Big Bongg Theory in Shahpur Jat should by no means be overlooked! 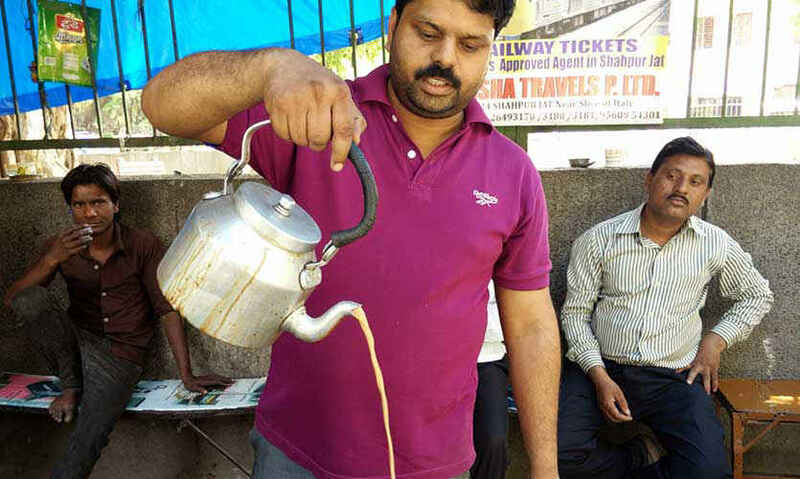 It&apos;s a local favourite with those working in the area and is always bustling with people from all walks of life coming in for a kadak dose of their Masala Chai. We had a chat with the owner and discovered they have been here, doing what they love best since the past 15 years, but who’s counting anyway! Shades of red, orange, green and yellow; find all flavours of chuski with him! 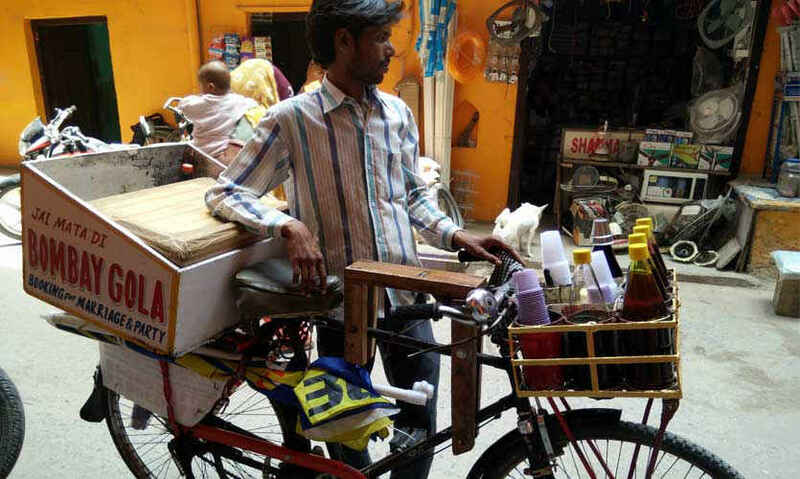 Riding on a cycle all over Shahpur Jat, this Bombay Gola wala makes the summer tolerable with his slurpy, delicious delights. It’s very unlikely to still find people selling goods on horse carts, but this one is quite a regular in the area. 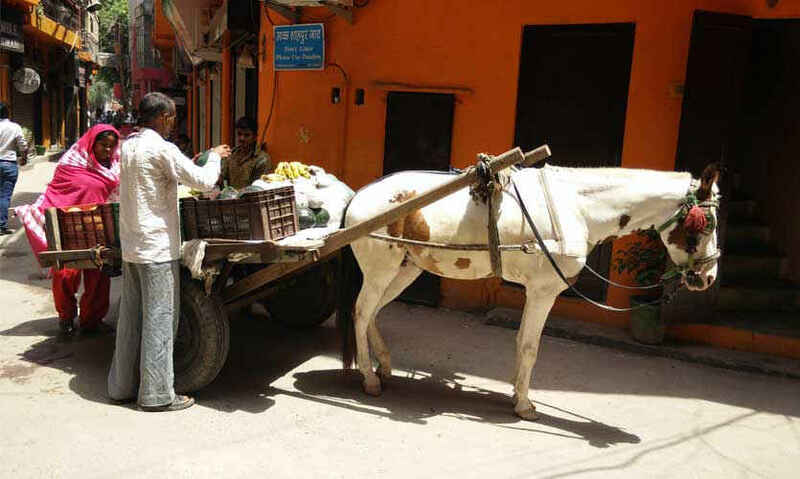 Selling fresh seasonal fruits to the residents of Shahpur Jat, this poor horse travels in the harsh heat of Delhi summers transporting the load of his master. Khatta, meetha, chatpata - get your shikanji mixed the way you like at Ram Bharose Shikanji Wale. 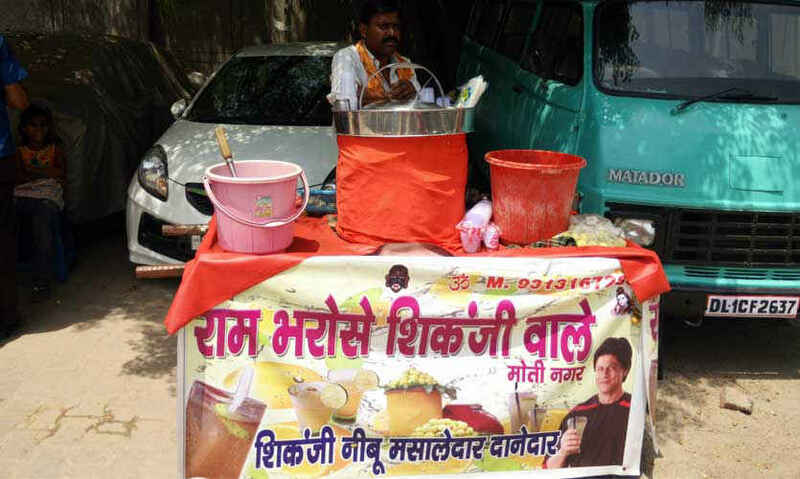 You surely can’t miss this shikanji wala, standing right at the entrance of the main market, as he has Shah Rukh Khan endorsing it! 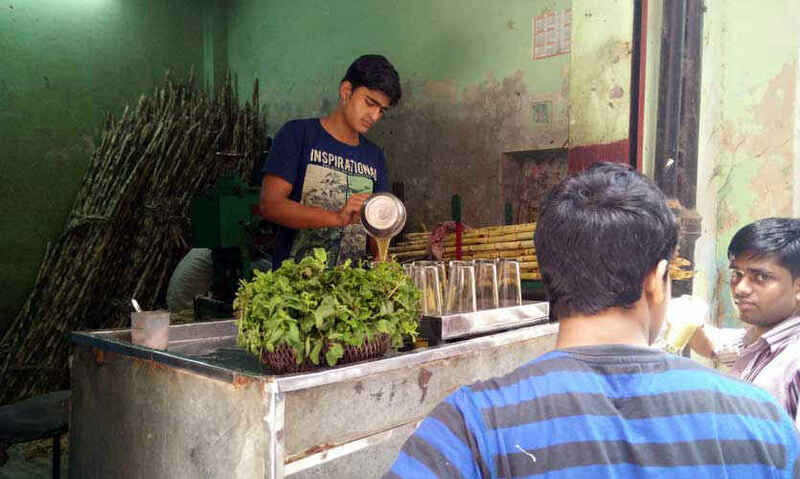 Masala shikanji is a hot favourite among all delhiites to beat the scorching heat, especially the one made in a traditional handi with fresh mint and ice. It’s not just another refreshing lemon drink, but also helps improve digestive functions. It’s torturous sitting under the heat all day, just to make a few bucks for survival. 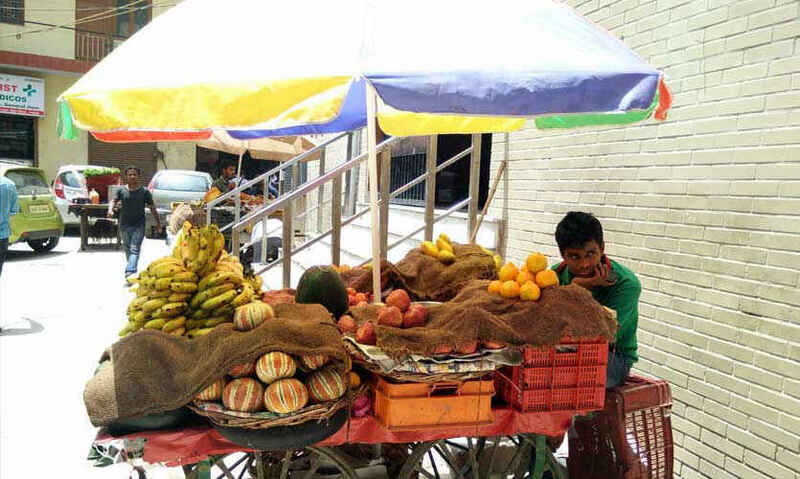 But this smart fruit seller in Shahpur Jat found himself a solution. Like they say, to enjoy life’s fruit, sometimes you have to take shade under an umbrella! 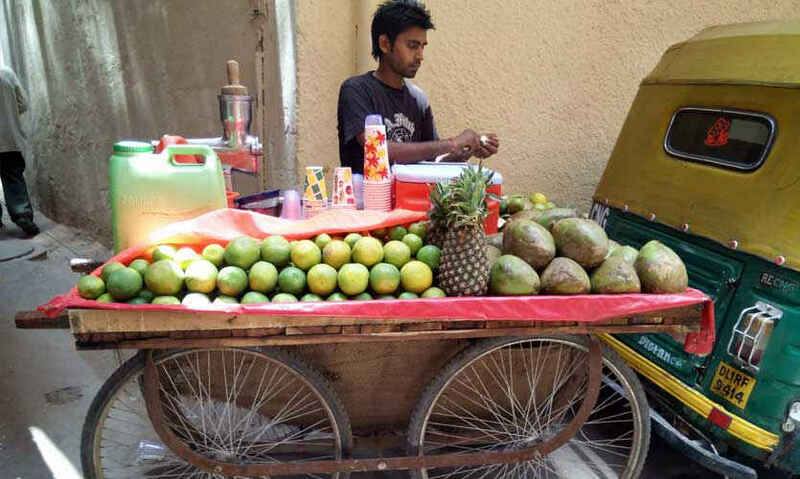 Pushing his cart from one corner to the other, this kulfiwala has three mouth-watering flavours - Milk, Badam & Pista to soothe you all summer long. 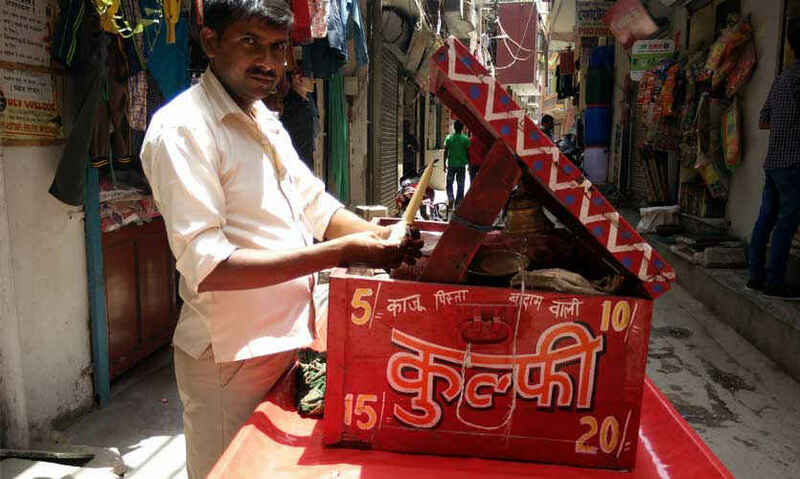 From Rs 5 - Rs 20, you can choose a kulfi size depending on your appetite - small, medium or large! Bored of drinking water to quench your thirst? Try the mosambi juice, made fresh right in front of you. 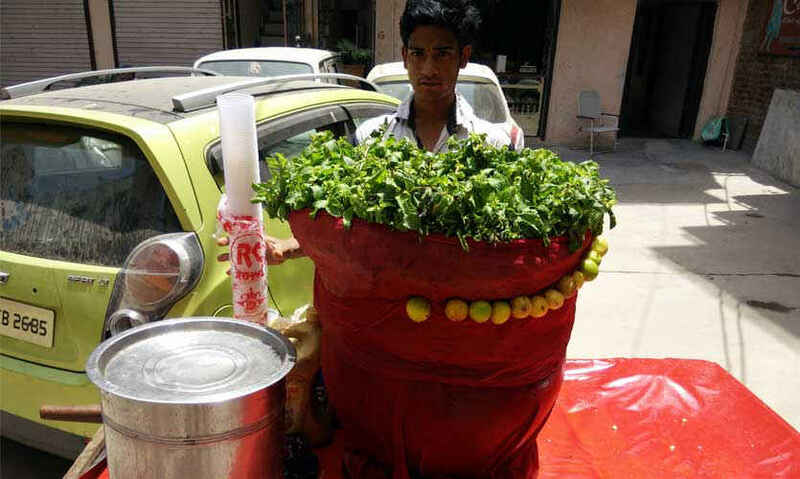 Using clean paper cups and hygienic water to make ice, this fruit juice wala is quite popular in the area. Just like any other bit of Delhi, Shahpur Jat has its own share of street wale bhaiyas, yummy eats and colourful characters!